Architect graduations 1/4" and 1/8". 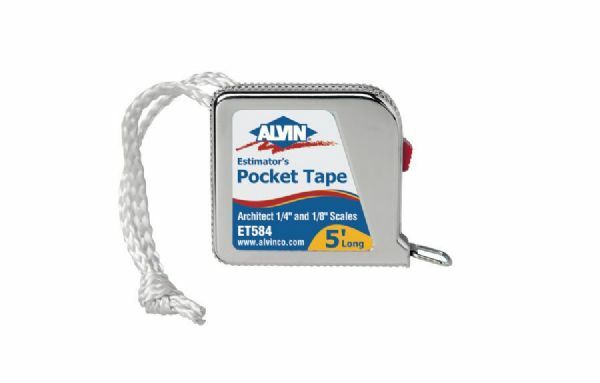 * Bright yellow enamel finish smooth-running metal tape. * Spring-action tape return and slide button tape lock. * Compact and lightweight with convenient hanging cord. The type is tape measure.